The fellow bloggers out there have already started to deck their halls for the Holidays, but not me; not yet for now. I am not fan of an early Holiday decorating, so I haven’t started yet. However, I am very, very late with posting the pics of how I decorated my front porch last year. I was quite busy last year and I wanted to do a post on this, but I kept procrastinating until it was too late. But hey, never is too late so I am happy that I found these photos while I was looking for something else and happy to share them with you. 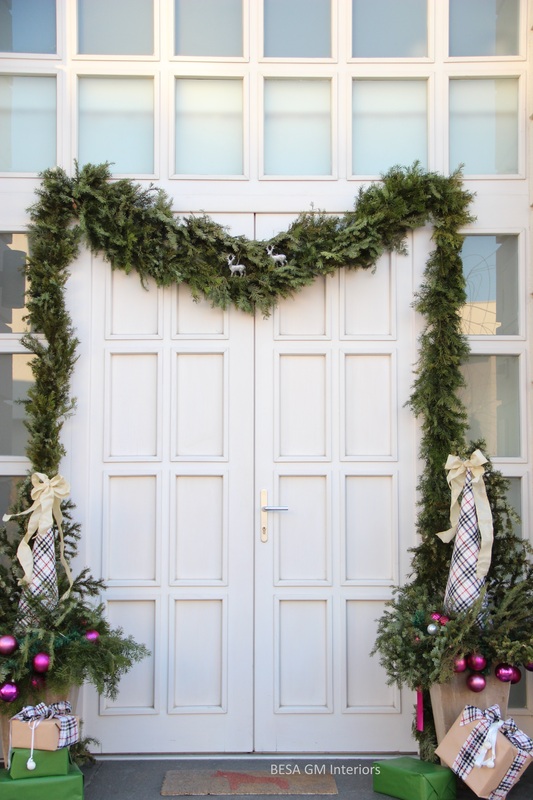 The front door was decorated with a huge garland made of fresh fir branches. 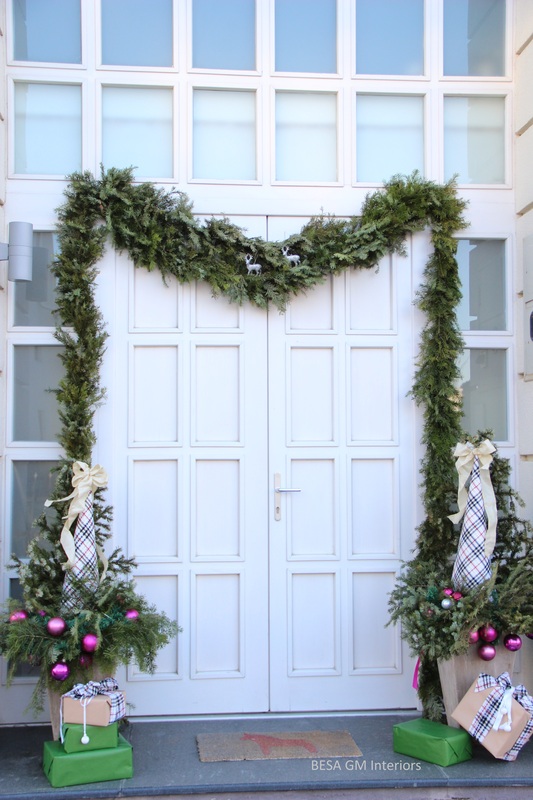 I made two of such garlands last year, one for the fireplace and the other for the front door and both were spectacular. I can still smell them. I have no clue how I am going to decorate this year and when I am going to start decorating. Hopefully, I come up with something nice and hopefully I will start soon! So here are some last year front porch pics. Enjoy! Thank you so much for stopping by and liking my blog and for taking time to comment! It’s a really great blog!